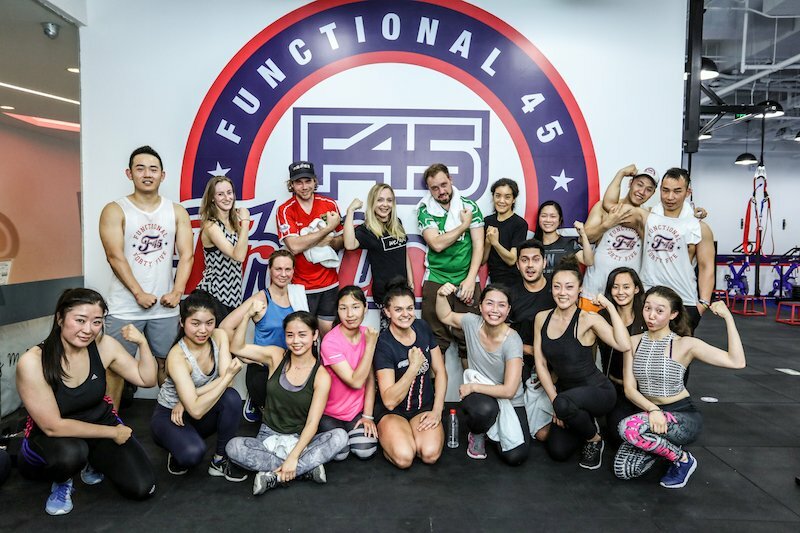 If you've ever admired Hugh Jackman's muscular physique as Wolverine in the various movies of the X-Men franchise, then you'll be happy to hear that F45 Training, one of the training regimens he used to get into shape for that role, has launched in Beijing. Originally hailing from Australia, this functional training franchise has spread rapidly around the world and now boasts around 760 studios worldwide. They have chosen Beijing for their first studio in mainland China, specifically Shangdu Soho near Dongdaqiao, making it a good choice for Guomao office workers looking for fitness options in the area. 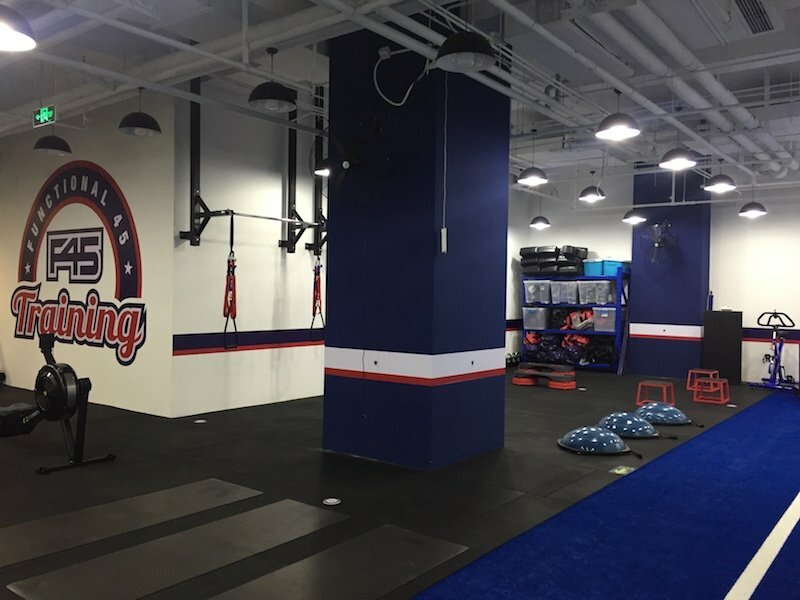 The name F45 comes from the word "functional" and the fact that the classes are 45 minutes long. The classes combine three popular training styles, high-intensity interval training (HIIT), circuit training, and functional training, for a fast-paced, sweaty workout. They have taken movements from the above free training styles and created 27 different workouts, some of which are more cardio-heavy, some of which include more resistance exercises, and some of which focus on a particular area of the body. The Beijing studio currently offers the Flamingo: Athletica, Romans: Resistance, and Hollywood: Circuit workouts, but will introduce more workouts as time goes by. Classes in Beijing are currently led by indefatigable head coach Adriana Tantau, who has helped open studios in Australia, Thailand, and India. I tried out the Athletica class and while it was certainly a tough workout it wasn't as intimidating as the "train like Wolverine" branding they have been using on their WeChat makes out. Adriana gives options for each exercise so you can take things at your own pace. Fans of heavy weights and lots of reps might not love it but it will be good for anyone who wants to both tone and burn calories through cardio but lacks the motivation to do so by themselves in the gym. Classes are currently priced at RMB 99 for one class, RMB 1,499 for 15 classes or RMB 2,499 for 30 classes. Monthly, six-monthly, and annual memberships are also available. Purchase and book your classes through their WeChat account: F45TRAINING. People who follow their WeChat can also redeem a free one-week trial.